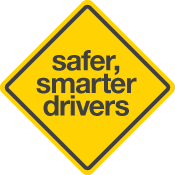 The Vehicle On Road Test will test your skills and knowledge as a safe and competent driver. Your test will take approximately 45 minutes and you will be required to demonstrate 5 low speed manoeuvres, (move off on a hill, angle park, U-turn, 3-point turn and reverse parallel park) as well as a general drive. The general drive component will test your driving skills e.g. changing lanes, turning on and from busy roads, turning at traffic lights, negotiating roundabouts, stop and give-way signs, your interaction with other road users and the system of car control. To pass a VORT you must demonstrate 5 slow speed manoeuvres and in combination with the general drive score a pass mark of 90% or more and not breach any road law during the drive. Any breach of road law will result in an immediate fail and the test will be terminated. If you are unsuccessful your instructor will debrief you on the reasons why. A copy of the test marking sheet will be given to you detailing your performance.